Mitigating pollution from home heating is a huge and under-appreciated opportunity for individuals to take meaningful, direct action on climate change. 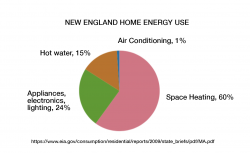 When you add together hot water and space heating, it can be fully 75% of home energy use. That new furnace you’re considering is going to be in service for the next 20 or 30 years, so it’s pretty important we get this right! 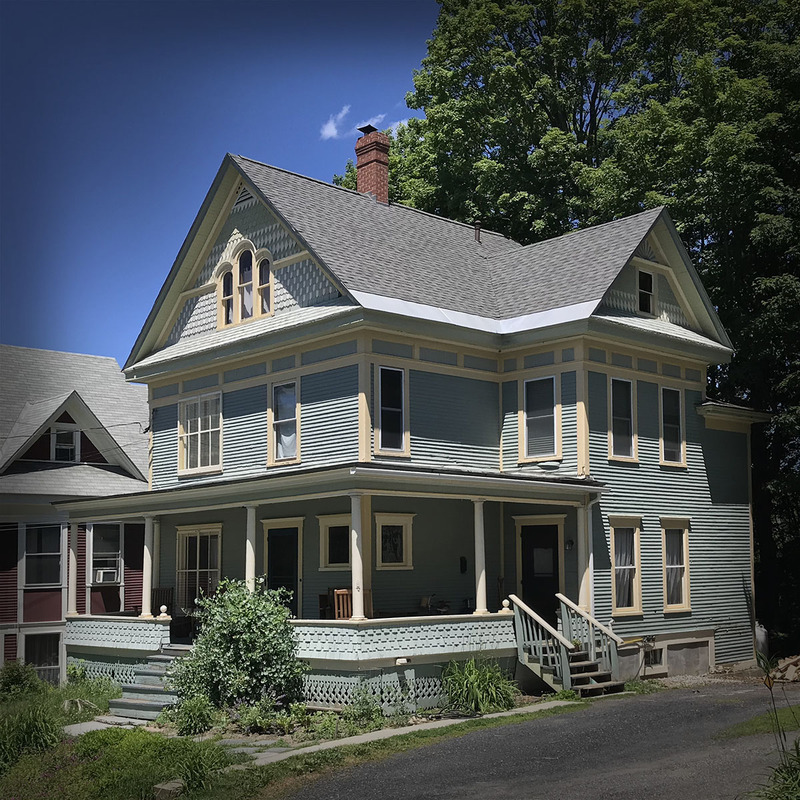 The important context lies in a) the comparison of our limited heating fuel options, b) the kind of building we’re heating (specifically, the heat loss profile of that building), and c) the practicality and affordability of cleaner heating options. Our heating options are limited and there is no such thing as a (carbon) free lunch when it comes to heating our homes. For the past century, heating has been a dirty, environmentally costly business. Today we have two alternatives to heating with fossil fuel: renewable electric and clean-tech wood heat. Anyone building a new home has myriad options for high-performance building envelopes, passive solar, net-zero, etc., but in the US, we have 53 million existing homes still heating with oil. Resolving heating pollution from those homes and their dirty heating systems gives us the biggest opportunity to reduce pollution from home heating. Let’s look at a typical example of a 2,000-2,500 square foot home, built between 1900 and today. It has an oil boiler (a boiler distributes hot water, a furnace distributes hot air) and hydronic (water-fed) radiators or baseboard heat emitters throughout the house. Paired with on-site solar PV or on a grid where the fuel mix is largely renewable, ductless mini-split heat pumps are a good choice for reducing reliance on the home’s oil central heating system during the shoulder heating seasons (the fall and spring days before and after the really cold winter months). When the temperatures drop below the point where a mini-split can keep up with the heat loss, the home’s central heating system kicks in. 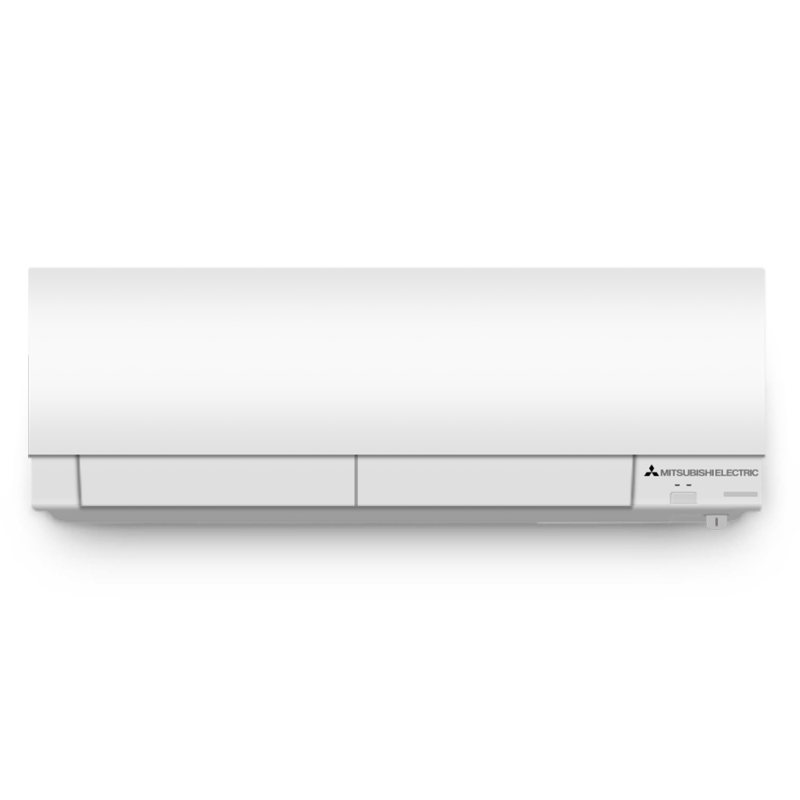 In the summer, mini-split heat pumps also provide air conditioning, eliminating the need for window units. 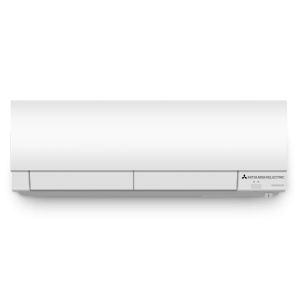 Mini-split heat pumps are single room heaters. A conduit which houses the power cable, refrigerant tubing, suction tubing, and a condensate drain runs to each head (air handler) from an outdoor condenser unit. The conduit only requires a three inch penetration and can be run through the basement, the attic, or the plumbing chase between floors. The new generation of EPA-approved wood stoves and wood pellet stoves are a great way to moderate the home’s central heating system in the room where the appliance is located. This type of retrofit is particularly well-suited to homes with an open floor plan or great room (combined living room, dining room, and kitchen). 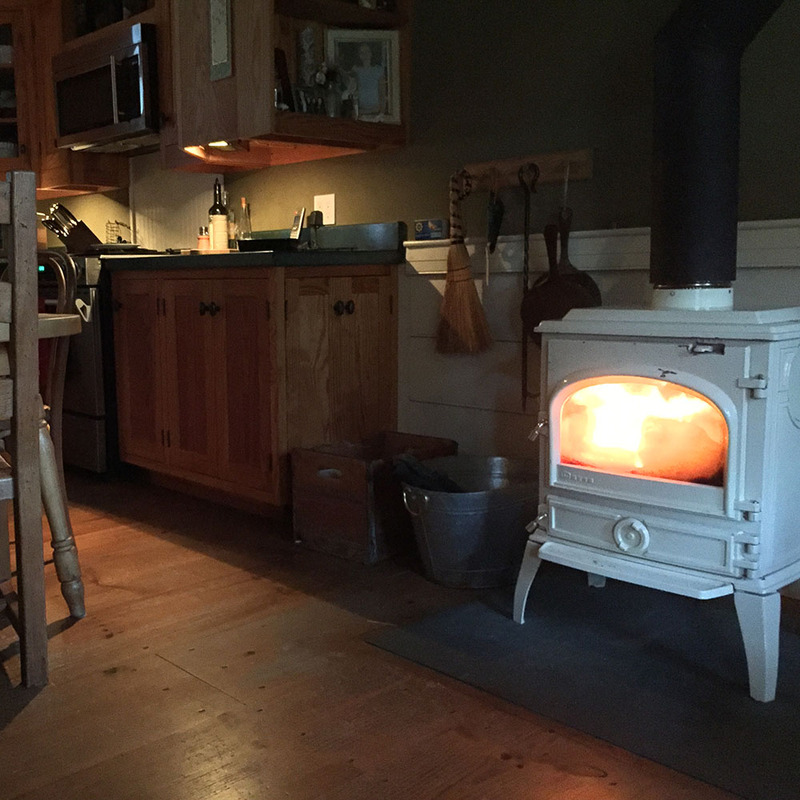 Retrofitting a wood stove requires a hearth and clearances to all combustible surfaces as required by the manufacturer. It also requires venting into a masonry or metalbestos chimney and adequate, convenient firewood storage. Pellet stoves also require a hearth and adequate clearances, but a pellet stove can be vented vertically or horizontally and has the advantage of longer run times without refueling. Pellet stoves utilize augers and other moving parts that can create noise that is bothersome to some people. Many retailers like hearth and farm stores offer delivery of bagged pellets. When planning a pellet stove retrofit, consider pellet storage. Bulk wood pellet storage and delivery may also be an option, depending on your location. Look for bulk storage solutions that allow you to fill a 5-gallon bucket for ease of transport. Both wood and pellet stoves require ash clean out and regular chimney cleaning, and a pellet stove should have annual maintenance service. 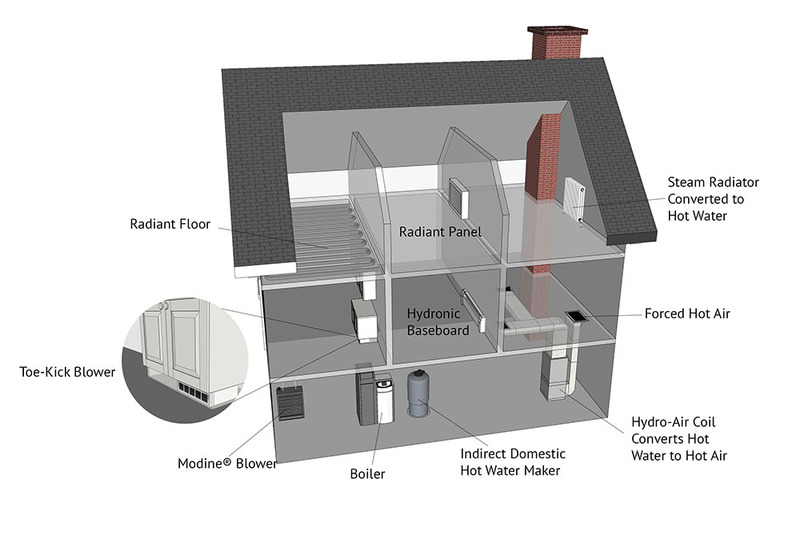 Central heating systems have two parts: the boiler or furnace and the distribution network, which is made up of heat emitters such as radiators, hydronic baseboard, radiant floors, or forced hot air ducts. The oil and gas boilers and furnaces currently heating the vast majority of America’s existing housing stock generate high temperature (160-180°) air and water. These systems achieve high temperatures using lower-cost fuel combustion rather than converting electricity to heat. 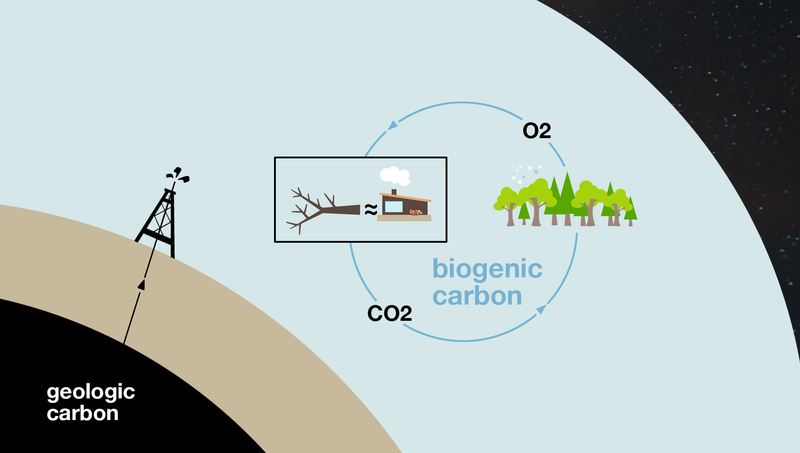 The other combustion fuel that can achieve high temperatures is wood, but until recently, wood couldn’t compete with the automated convenience of oil and gas. Today, renewable wood pellet heating fuel has matured from stoves and forty-pound bags to boilers, furnaces, and hands-free automated delivery with bulk pneumatic trucks. Wood pellet heating fuel is carbon neutral, low particulate, and can reduce the home’s carbon footprint by six to nine tons of CO2 every year. Switching from an oil boiler to one that runs on wood pellets is by far the single biggest carbon footprint savings available to homeowners. Wood pellet boilers and furnaces are marvels of engineering. They have to be because it’s more difficult to combust a solid fuel than a liquid or gas fuel. That makes them more expensive than their fossil fuel counterparts. Fortunately, many states have incentives to help make pellet boilers and furnaces more affordable. Low-interest green energy loans are also widely available. The larger point is this: what are our real alternatives? When it comes to fueling the 53 million central heating systems currently burning oil (many of which are now being converted to gas), we only have three options: oil, gas, and wood. 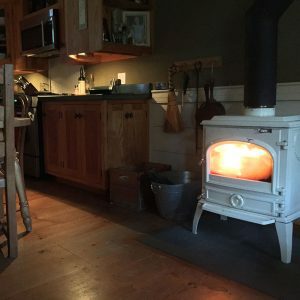 In addition to reducing greenhouse gas emissions, using wood for heating strengthens local economies; promotes forest health by creating markets for low grade timber; lowers the risk of wildfires; fosters energy security and energy independence; and encourages economic development, particularly in rural communities.